Cape Town – The Independent Regulatory Board of Auditors (IRBA) confirmed on Friday that it would investigate the auditor responsible for signing off on the forensic investigation into the so-called rogue unit at the South African Revenue Service (SARS). IRBA CEO Bernard Agulhas responded in writing to a request by Democratic Alliance (DA) spokesperson on finance David Maynier who requested Agulhas to extend the scope of its investigation so as to probe KPMG's conduct in terms of the “rogue unit” report. The “rogue unit” report was concluded in December 2015 and was signed off by a registered auditor. Agulhas earlier said that IRBA does not have jurisdiction to investigate forensic reports per se, but that it would be able to probe the conduct of the auditor responsible for signing off on the report, provided the auditor is registered with IRBA. “We hereby confirm that IRBA will be extending the scope of the investigation to include the conduct of the auditor responsible for producing the forensic SARS 'Report on Allegations of Irregularities and Misconduct',” Agulhas wrote. Maynier said auditing firms such as KPMG South Africa, which allegedly not only turned a blind eye, but also supplied the “corporate grease to lubricate the wheels of state capture, tax evasion and corruption” must be held to account in South Africa. 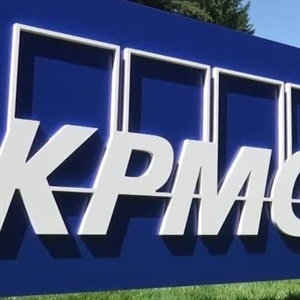 Last week, KPMG appeared before parliamentary watchdog the standing committee on public accounts (Scopa) to explain the allegations levelled against the company. On Friday September 15, KPMG announced that it had retracted its findings, recommendations and conclusions of its “rogue unit report”, saying there had been no evidence suggesting former finance minister Pravin Gordhan knew about the unit. It offered to repay the R23m that SARS paid for the report. KPMG is the subject of two investigations – one by IRBA and another by the South African Institute for Chartered Accountants (Saica). The initial scope of IRBA’s investigation included the 2014 audit of Linkway Trading, the company which played a crucial role in allowing the diversion of cash earmarked for the Free State’s Vrede dairy project to reimburse most of the wedding expenses of the Gupta family. Aside from the IRBA and Saica probes, the auditing firm will also be independently investigated for its conduct by a “lead figure” in the legal fraternity, its CEO Nhlamu Dlomu said. The panel for conducting the probe will be announced on October 12 and will be led by two senior counsels. Dlomu said the findings of the inquiry will be made public.